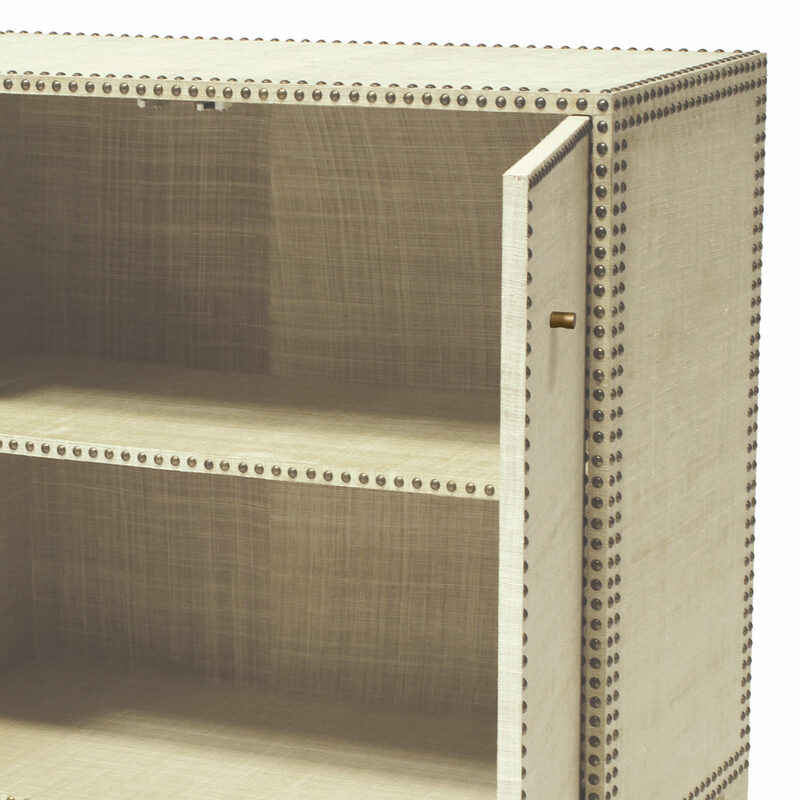 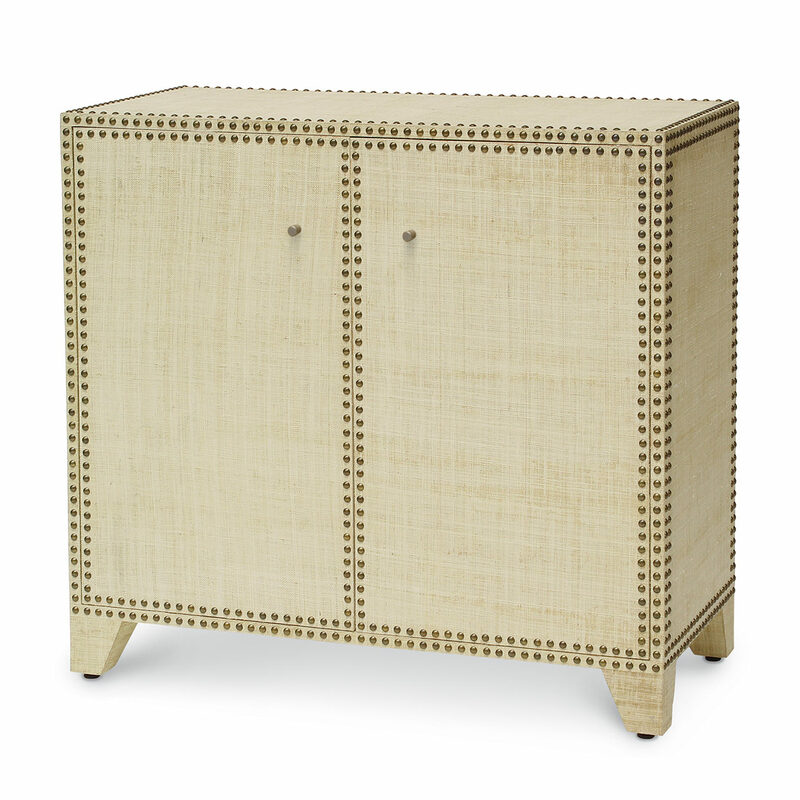 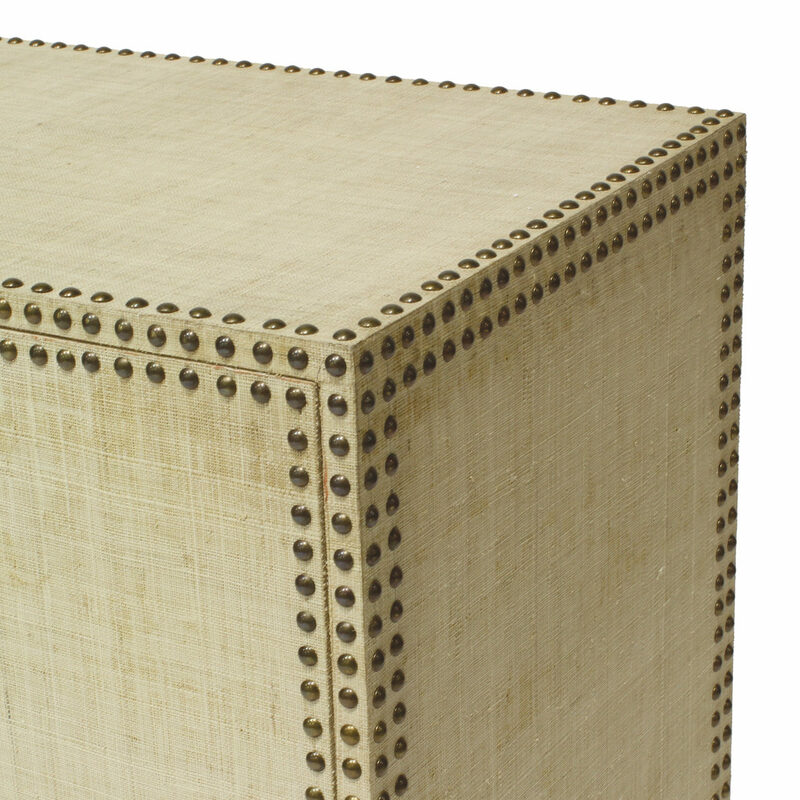 Hand-applied natural raffia accented with antique brass finish nailheads. 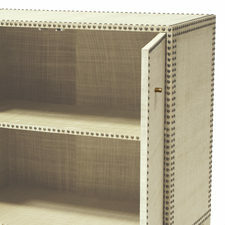 Cabinet interior is fully lined with two fixed shelves. 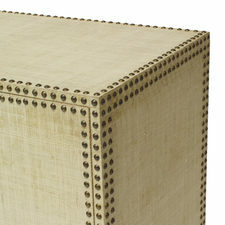 Raffia is stain resistant and will vary in color and texture. 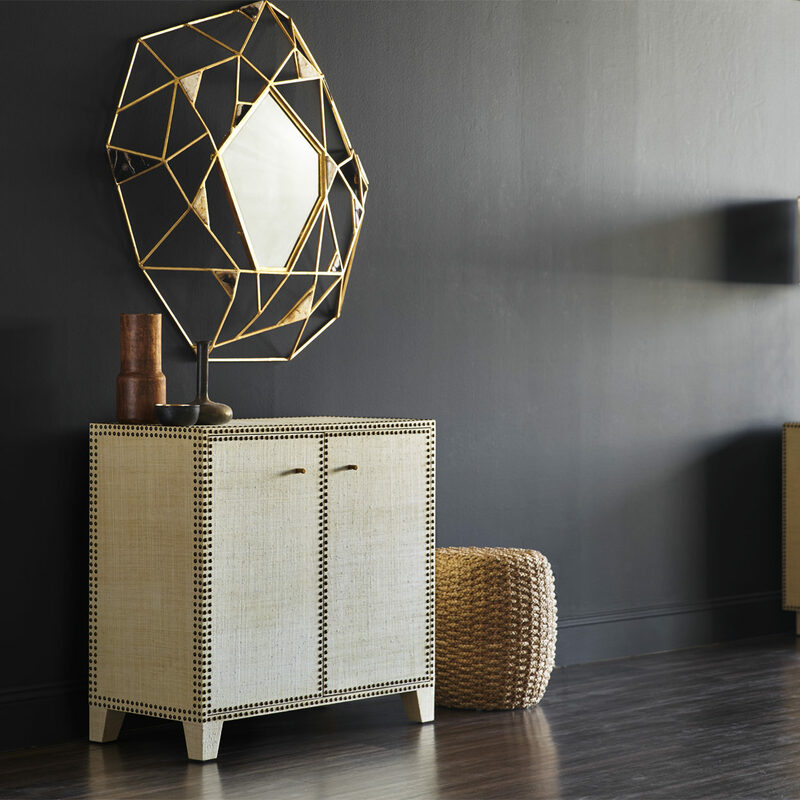 Coordinate with the Benton collection.